At the Citywest Hotel, Dublin on Thursday 11 October, MAN Truck & Bus won the Fleet Transport Irish Truck Innovation Award 2019. This annual awards ceremony sees Ireland’s transportation and road haulage heavyweights go head to head for a number of different awards, including Technician of the Year and Irish Haulier of the Year. The Fleet Transport Truck Innovation Award was presented to the MAN aFAS Level 4 autonomous driverless motorway safety truck. 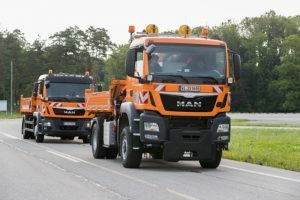 Based on the MAN TGM 18.340, the aFAS automatically follows another truck engaged in maintenance works on motorways. This could save lives in an environment where rear-end collisions with mobile motorway repair crews are common. The aFAS has been tested on public roads covering more than 4,000 km so far without accident and is the first Level 4 driverless vehicle on public roads in Europe. 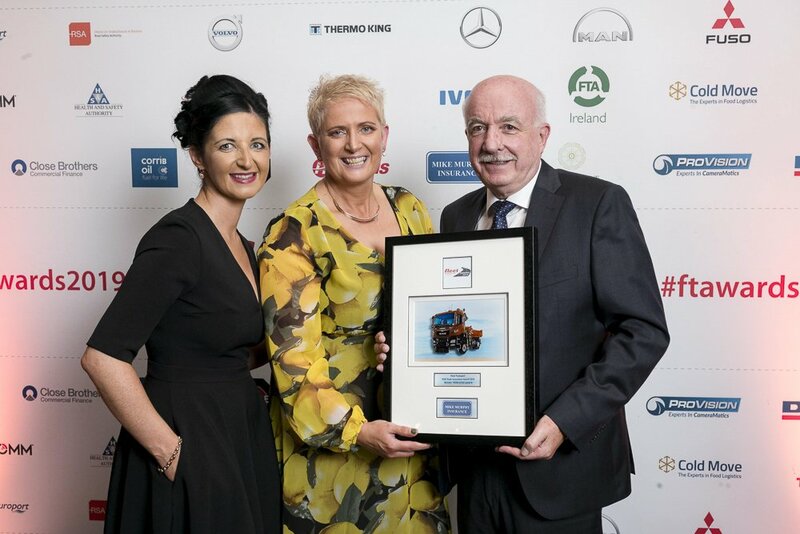 Pictured at the presentation of the Award were from left to right, – Denise Owens (Administration Manager at Fleet Transport Magazine), Orla Sweeney (Awards Co-Ordinator/Marketing Manager at Fleet Transport Magazine and Michael Hynes (Managing Director) of MAN Importers Ireland.